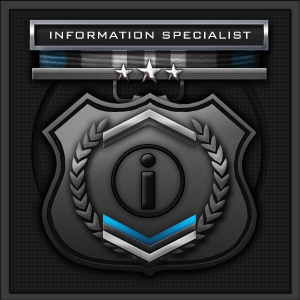 Our new online LMS [Learning Management System] is up and running with our first class out of Beta, the Information Specialist Badge. This is all automated now. Please change all of your bookmarks as the old test is no longer available. Once the course is completed you will be issued a certificate. This certificate needs to be sent to YOUR chain of command so they can award the badge [DO/DC/CLC/CC]. Follow the directions carefully and if there are issues, please direct them to Cherry [OS SC] cherry@taw.net. Members will need to make an account [secure] and be sure to follow the prompts to add your TAW Callsign and Division. We are recruiting EDU members to help manage the LMS and upload the courses as all basic courses will be on this system.